Ulpotha is a recipe and photographic book celebrating a small traditional village nestled in Sri Lanka’s cultural triangle. It’s the land that time forgot, full of lore, mystery, and legend. It’s where monkeys swing through the trees and nature is in full play. Buffaloes are used to thresh heritage red rice, there is no electricity, food is cooked on open fires and vegetables grown in the garden. 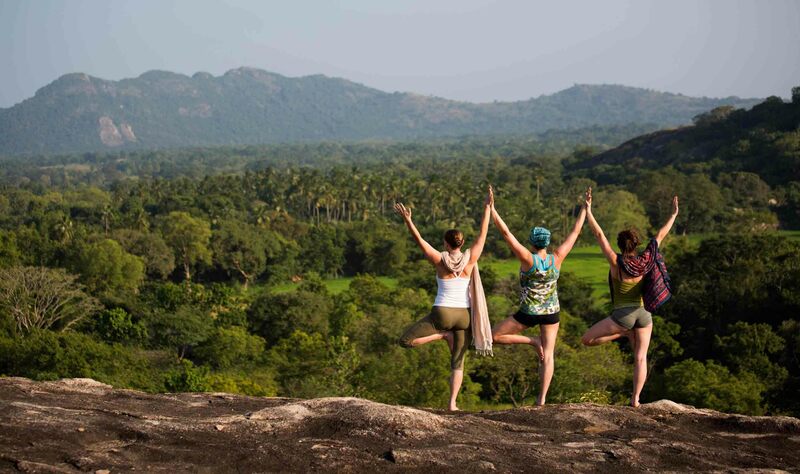 The villagers welcome guests six months a year to do yoga, eat Ayurvedic food and have Ayurvedic treatments. Carina Cooper (Author of Notting Hill cook book, and after work cook book) has taken the recipes and interpreted them to be cooked in the west whilst taking the reader on a lyrical tour of this magical kingdom. Ingrid Rasmussen (photographer of ‘New London Style’, ‘Ibiza Style’, ‘New Country Style’ and ‘Style City’) has brought her refreshing eye to photograph the delicious food whilst also capturing the villagers at ‘leisure, pleasure and rest’ which is the credo for Ulpotha.